Lou Dobbs and Sean Hannity advised Trump on shutdown strategy. His Oval Office speech reflected it. Trump’s address, just short of 10 minutes, ripped language from both of their shows. During his speech, Trump also said, “They don’t build walls because they hate the people on the outside, but because they love the people on the inside.” The line has been floating around conservative media since at least April and a variation of it was used by Sen. Marco Rubio (R-FL) during the 2016 election. After Trump's speech, right-wing pundits Tomi Lahren and Jack Posobiec scrambled to take credit for it. 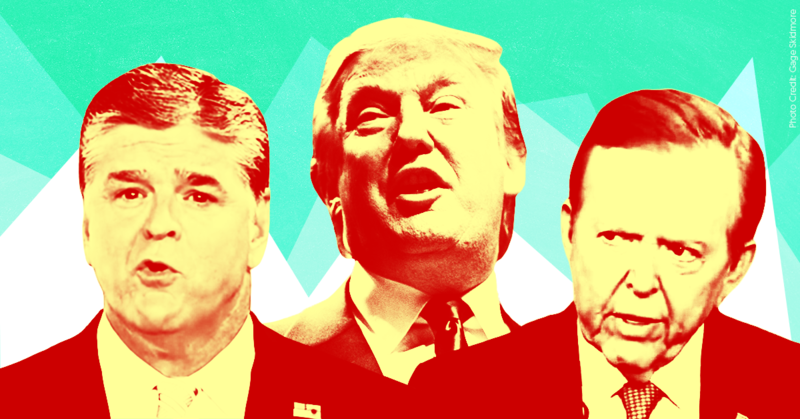 Hannity and Dobbs have long served as close advisers to Trump, and their shows have been rank propaganda for his administration. Bill Shine, the former Fox News co-president and current top Trump adviser, used to be Hannity’s producer and is his close friend. Welcome to the Fox News shutdown.